Seven’s primetime started with Seven News Sunday just under 1m, down just over 400,000 on the previous week. With no more AFL as a lead-in and daylight saving approaching, that was likely the biggest news audience of the year for anyone. 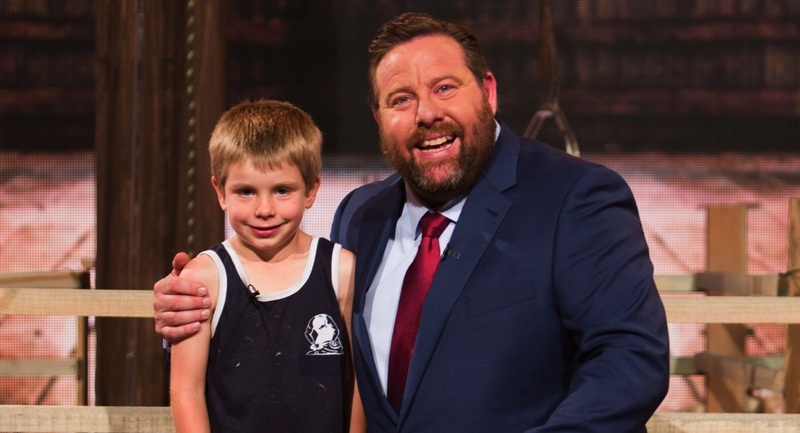 Little Big Shots featured another collection of magical performances with plenty of time for Shane Jacobson chatting with the kids. While LBS retained top spot on Sunday, the audience was down over 300,000 on its launch figures. Cashed Up Kitties and a Goldie Hawn interview were on offer on Sunday Night with 747,000 watching. That was the smallest audience for the show since the episode that went up against the final of The Voice two months ago. The evening then turned into crime watch with Heists That Shook The World on 366,000 followed by Robbie Coltrane’s Critical Evidence on 214,000. Nine News Sunday was a winner at 6pm with 1.19m. The Block saw the teams scrambling to finish their dining and living spaces. 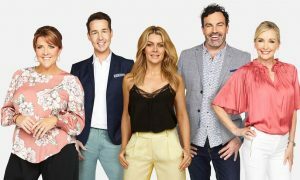 No surprises that the show’s best renovators – Ronnie and Georgia – were the best, although this week they shared top spot with Josh and Elyse with both on 29.5 out of 30 (Josh and Elyse used a bonus point to force the tie). The series started its new week on 1.19m after 1.18m on Sunday a week ago. The Block was #1 25-54 for the night. Peter Stefanovic, Liz Hayes and Allison Langdon were on duty at 60 Minutes. The episode outrated Sunday Night with 773,000 watching the Nine offering, which was enough for it to slip into the top five for the night. Nine broadcast its Diana tribute, Diana: The Day The World Cried, with the Kate Winslet-hosted special attracting 431,000. The biggest Diana audience last week was 625,000 watching Seven’s Diana: A Love Affair. The new Sunday edition of The Project is yet to drive bigger audiences into the channel’s flagship Sunday shows. After launching on 327,000 last week, the 7pm half of the program did 310,000 last night. The Sunday edition of Survivor saw AK exit tribal council with 574,000 watching, down from 607,000 a week ago. The 2015 movie Insurgent followed with 200,000. The ABC is sticking with real estate up against The Block. The short series of UK’s Grand Designs: House of the Year (2016) started with 522,000 after 516,000 watched the final episode of Grand Designs New Zealand a week ago. Inspector George Gently returned at 8.30pm with its final series, which sees the program move into the 70s. The first episode did 693,000 while the delayed second episode has yet to be released. Sherlock moves into the slot next Sunday. The movie-length repeat of Ancient Megacities did 173,000 after 7.30pm. The doco Fair Game on former AFL footballer Heritier Lumumba then did 74,000 just before 10pm.